Smart inventory management for your growing business. Get updates on your mobile! Zoho inventory is integrated with Amazon, eBay, Shopify and Etsy to help scale up your business. 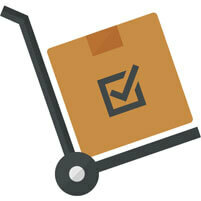 Create orders, invoices and keep track of all your stocks on the move.